Working with Virgin Media Business and Daisy Group to offer Fibre connectivity, Ethernet, Wi-Fi solutions and Mobile Broadband products. Phonetalk Communications have over 20 years of industry experience, we specialise in offering outstanding and dedicated account management and customer service. By partnering with the best business communications service providers and mobile networks we can offer an independent view and bespoke solutions tailored to your needs. 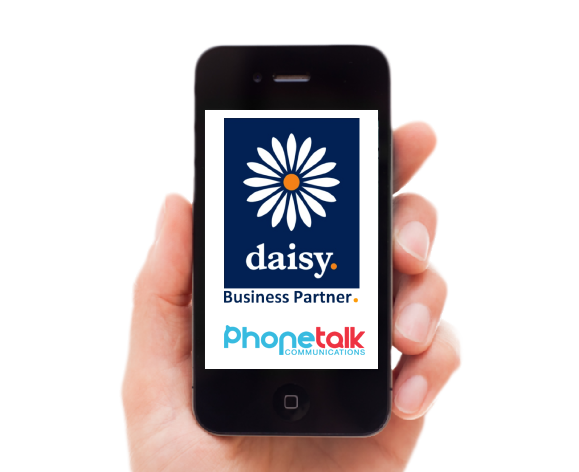 Phonetalk Communications has partnered with Daisy Group to bring you the best available B2B networks whilst retaining ownership of the relationship with our customers. This arrangement provides you with an unprecedented level of customer service, control and flexibility and provides us with the ability to offer services to suit your specific business requirements. Whether you simply need to move your mobile arrangements or combine this with your other communication services, our service ensures the easiest switch possible with no interruption of service or change of numbers. Whether you’re a single user, small to medium business or corporate, we have the ability to tailor a business mobile package to suit your requirements. Onsite device set up, configuration and warranty are all included within your monthly costs. We are experts in communication solutions and provide the best products and services to meet your needs and exceed your expectations. We specialise in B2B partnerships and aim to build long term business relationships and trust. As a Phonetalk Communications customer you will have a dedicated account manager and we take full ownership of your account. Ongoing account management, regular meetings and a personal approach help us to achieve our promise of great customer service. We are experts in communication solutions and we can provide the best products and services to meet your needs and exceed your expectations. Onsite device set up, configuration and warranty are all included within your monthly costs. Various products can enable your business to embrace ‘better ways of working’, whether you require the latest tablets, top of the range smartphones or the latest 4G mobile Wi-Fi device, or you are looking to adopt unified communications or improve your fixed line and broadband services we are confident we can deliver and support the appropriate solutions. Choose from the latest products available on the market. With over 20 years experience we can help advise and suggest the best plan for you and your business. No hidden surprises, our packages deliver great value for your money...you can see exactly what you are paying for. Choose from the latest available technologies such as 4G and hi-speed WI-FI. You will have a dedicated account manager and we take full ownership of your account. Phonetalk Communications has partnered with Daisy Group to bring you the best available B2B networks whilst retaining ownership of the relationship with our customers. This arrangement provides you with an unprecedented level of customer service, control and flexibility and provides us with the ability to offer services to suit your specific business requirements. Whether you simply need to move your mobile arrangements or combine this with your other communication services, our service ensures the easiest switch possible with no interruption of service or change of numbers. But it's more than that; Phonetalk understands that it's not just about providing you with a device and connection to the network. We will work with you to understand your individual business needs, and provide a fully tailored solution that will help your business be more responsive and efficient. We are a business partner of Vodafone and an accredited Vodafone One Net dealer, we can offer the full range of Vodafone Services including 4G price plans, Microsoft Office 365, Mobile Device Management and the true unified communications solution: Vodafone One Net. Being an O2 business partner we can provide direct connections onto the O2 network and provide all of the O2 business services and back up and support. As one of the UK’s largest B2B telecom service providers for Vodafone and O2, Daisy and Phonetalk Communications offer an independent view of your business mobile communications. Whether you’re a single user, small to medium business or corporate, we have the ability to tailor a business mobile package to suit your requirements. Phonetalk Communications can provide business calls and lines packages that are tailored to meet the specific communications requirements of your business. Two-way communication with your customers and suppliers is vital to the effective running of a business. At Phonetalk we understand that every business is different and so too are the requirements they have of their telephone line. Our lines and calls portfolio contains analogue and ISDN lines, which can be supported by a range of cost-effective call routing options and highly competitive call tariffs, to keep your business talking. Whether you need us to arrange the installation of new lines or want to transfer your existing services, we make everything quick and easy with no disruption to your business operations. Through our relationships with world-class manufacturers including Mitel and Avaya, we are able to offer our customers a range of telephone systems so you can choose the one which best suits the needs of your business. We cater for businesses of any size, offering basic two-user phone systems through to multi-site systems with advanced business functionality. Voice over Internet Protocol is, put simply, Internet telephony – the transmission of voice traffic over a dedicated high-speed broadband connection instead of traditional wires. Call quality is at least equal to that of a standard (analogue) phone and often far better. For growing companies, having a telephone system that can support the rapid pace of business is essential. Traditional telephony can often become an obstruction to businesses looking to increase the size of their estate. CloudSelect™ Voice is Daisy’s Voice over Internet Protocol (VoIP) solution, which is transmitted over our own high-speed network to provide flexibility for the long term. Daisy’s Voice over Internet Protocol (VoIP) solutions offer your business greater communications flexibility with additional features and significantly reduced costs. We know that each company has their own distinctive set of objectives when it comes to their broadband connection. That is why we offer a range of business broadband packages to ensure there is a solution that caters for every size of organisation. Phonetalk Communications can offer the latest data products and services including ADSL, EFM, FTTC and Ethernet. We don't sell our customers something they don't need, or won't use. We also provide the ongoing support and tools necessary to ensure your broadband solution continues to meet your business requirements. Our data product sheets explain the features and benefits of each option, making it easy for you to decide which product or service you require; in addition, our checking tool shows you exactly what is available at your location and what speeds could be achieved. One Net is a cloud based service that delivers fixed phones, mobiles, desktop and connectivity through a single platform allowing you to have just one number and just one voicemail too. There is no cost for maintenance and no IT skills required, as all your communications can be managed via the feature management portal. What One Net does is make everyone constantly connected, wherever they are. By being more contactable it gives your business an edge by making you more responsive, more ability to react quickly when needed, often resulting in saving time and money. Vodafone One Net Collaboration, with Microsoft Office 365 and Skype for Business, gives you integrated voice services and the ability to merge fixed phones, mobiles and softphones in one solution, it makes unified communications affordable for small and medium-sized enterprises. Vodafone One Net™ Express can give you multiple local landline numbers on your mobile, with no need for desk phones. So you can advertise your business further afield, attract more customers, and keep the appearance of a local company. Landline numbers will also give your company a more professional image, even if you don’t have business premises. Whether you are looking for IT Support, Managed Services or Hosting and Cloud Services Phonetalk Communications in conjunction with our partners can offer the latest products and services. We can provide a service that is tailored to each customers' needs. We don't sell our customers something they don't need, or won't use. We also provide the ongoing support and tools necessary to ensure your IT solutions continue to meet your business requirements. We can supply and install Bluetooth hands free car kits. We will come to your chosen site (office or home). Please get in touch for a quotation. 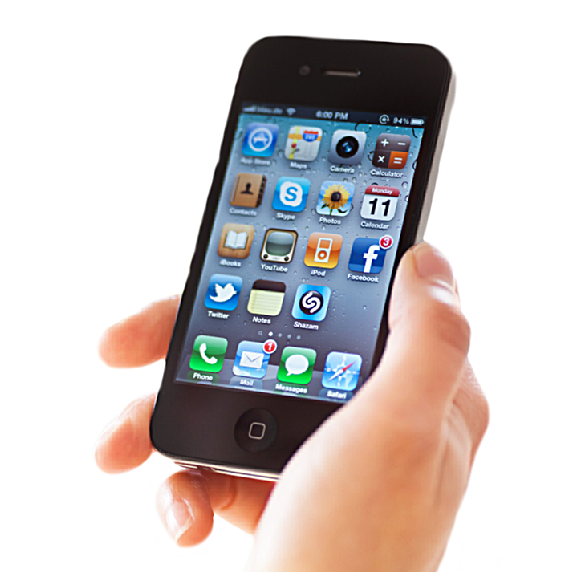 We can supply sim free stock or network specific smartphones, tablets or basic handsets. We also stock a full range of Mobile Wi-Fi and mobile broadband devices. Please feel free to contact us today for availability and latest pricing. Mobile phone and Tablet accessories are available for all makes and models. We stock and source genuine accessories to compliment your device or increase your device productivity. We also stock and supply quality accessory products from 3rd party manufacturers and specialist producers. Please get in touch using our enquiry form for your specific requirements. We treat all customers the same regardless of the size of your business and value all our customers equally, personally handling any queries or problems, which helps set us apart from the bigger corporate organisations.
" Dan has helped us over the last 6 years or so, giving us good honest & competitive advice. We have benefitted from his vast experience, knowledge, expertise & problem solving within his industry. We have enjoyed second to none service, it’s always a pleasure to work with you. Long may you continue to take any such technical problems and return them as solutions leaving me to operate our business efficiently. " " Terramond have used Dan Sady for our mobile communication requirements for over 10 years and he has always provided a high level of customer service and account management. Our business needs are dealt with promptly and efficiently in a professional and personal manner. I have no hesitation in recommending Phonetalk Communications. " " We have dealt with the guys at Phonetalk Communications for many years now and we have always found them to be first class in everything that they do for us. We have no hesitation in recommending their services. " 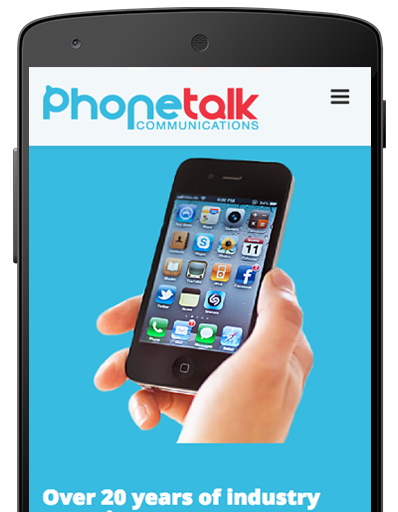 " We have been very happy with the service provided to us by Phonetalk Communications. A Company that we have total trust in to look after us now and in the future. " If you would like to know more about our business and how we can help you please get in touch today, we offer a free business consultation service so please contact us for an informal chat or to arrange a formal meeting. Your message was sent sucessfully to our team and we will be in touch with you asap. Error...!, message sending failed, please try again and check your details.